Ardara‘s annual walking festival returns on Saturday the 19th of March with one of the most exciting programmes in years. Be guided through some of the most breathtaking and inaccessible, coastal and mountainous areas on the Wild Atlantic Way. Professional local guides will take you from Port to Maghera on what has to be one of the most spectacular walks in Europe. 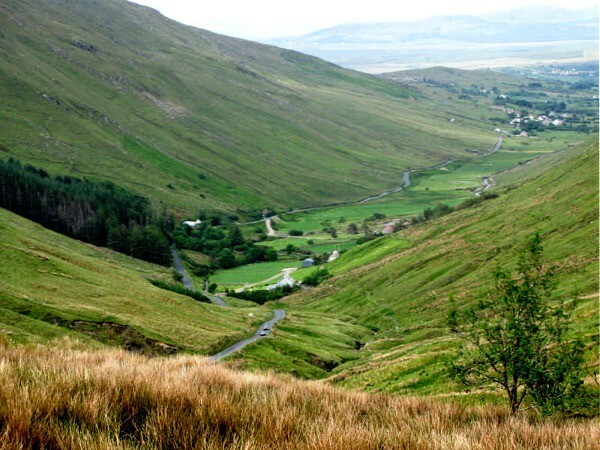 Due to a Great effort from the Organising committee and especially John Damien Gallagher, the walks are at the very affordable price of €15 for one and €25 for two walks. 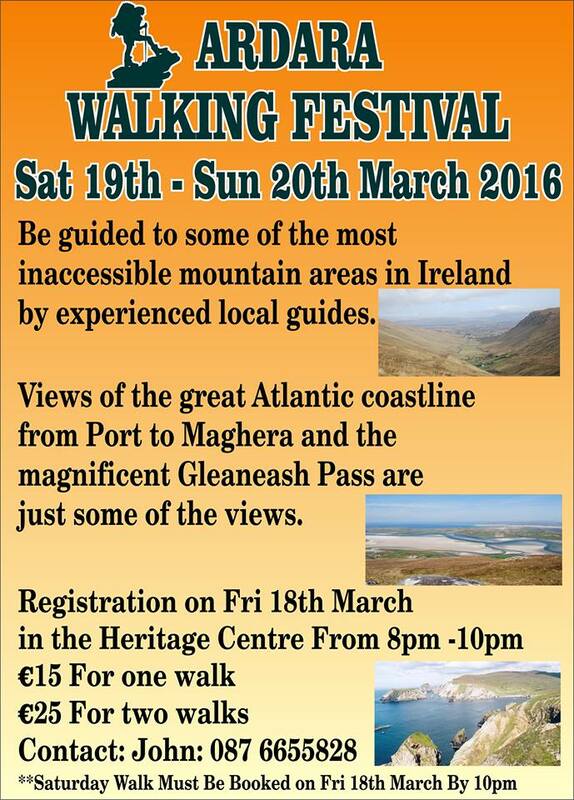 Registration 8-10pm will take place on Friday the 18th of March in the Heritage Centre. Contact John Damien on 087 6655828 for more info.